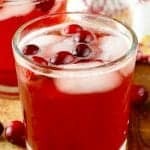 This Cranberry Vodka Press is the perfect light holiday cocktail! Just THREE ingredients! 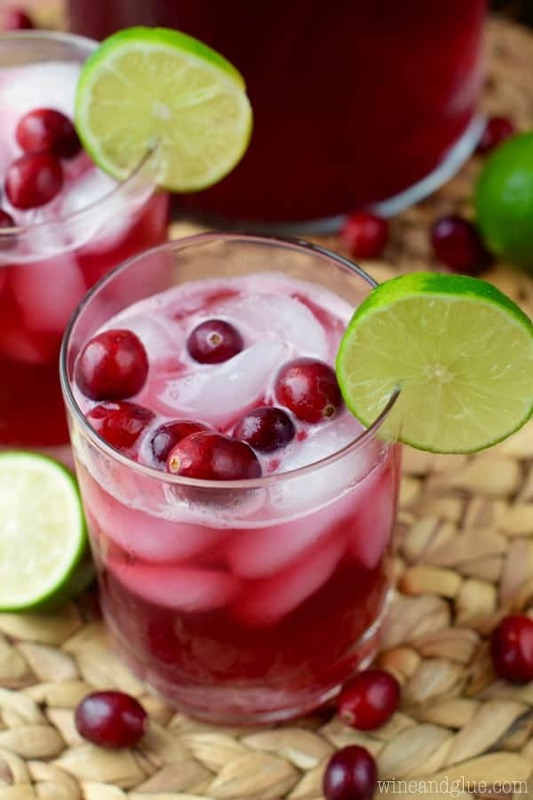 It’s like a lighter spin on the traditional go to of a Vodka Cranberry Juice. You know the melody, so feel free to sing along. If it’s Friday and you know it, clap your hands! If it’s Friday and you know it, clap your hands! If it’s Friday and you know it, and you really want to show it, if it’s Friday and you know it, grab your vodka! If it’s been a long week and you know it, clap your hands! If it’s been a long week and you know it, clap your hands! 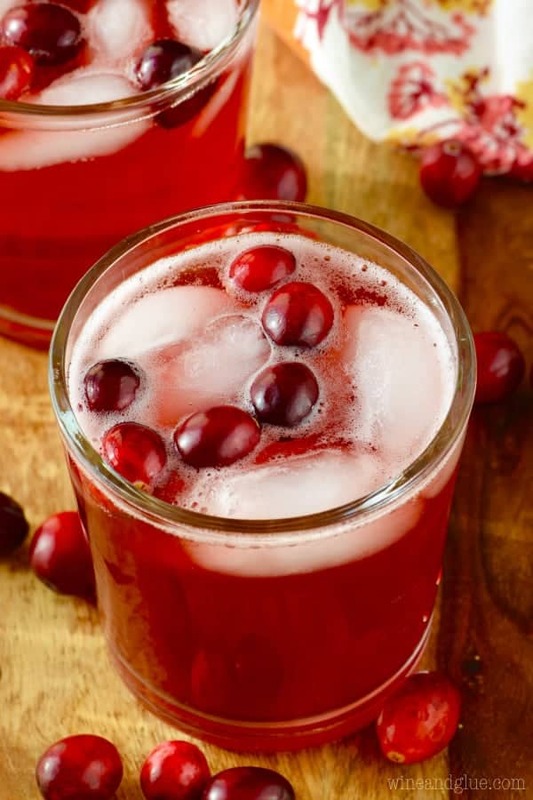 If it’s been a long week and you know it, and you really want to show it, if it’s been a long week and you know it, grab some cranberry juice! If you’re over it and you know it, clap your hands! If you’re over it and you know it, clap your hands! If you’re over it and you know it, and you really want to show it, if you’re over it and you know it, grab your club soda! You guys. It has been A WEEK. I won’t go into all the nitty gritty details, but I will tell you that one kid had the stomach flu BAD and another kid had an ear infection that lead to the most disgustingness I’ve seen in a while . . . and I feel like that is really saying something seeing as how I simultaneously had another kid with the pukes. You guys. This week beat me. It beat me hard. So when I tell you I need a Cranberry Vodka Press, I’m not kidding. Like at all. And if you want to join me in having one, that would be even better. When Cathy and I were planning our Friendsgiving menu, we started by planning the drinks (obvi). First on the list was my Cinnamon Sangria, but then she also mentioned Cranberry Vodka Presses. Cathy loves a good Vodka Press, and she is totally making me a convert. So the credit for this idea goes solely to her! I made two different versions, one is a little sweeter, but doesn’t have that true cranberry color. And the other is a little less sweet, but still so amazingly delicious and absolutely beautiful (pictured here). It’s up to you friends. Either one will help you feel better about your week. Or if you had just a fine week, it will make you feel better about mine. 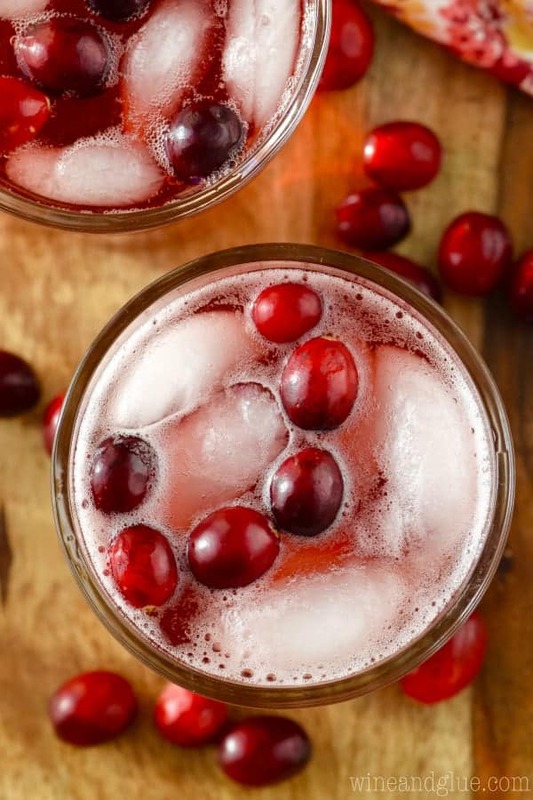 This Cranberry Vodka Press is the perfect light holiday cocktail! Just THREE ingredients! 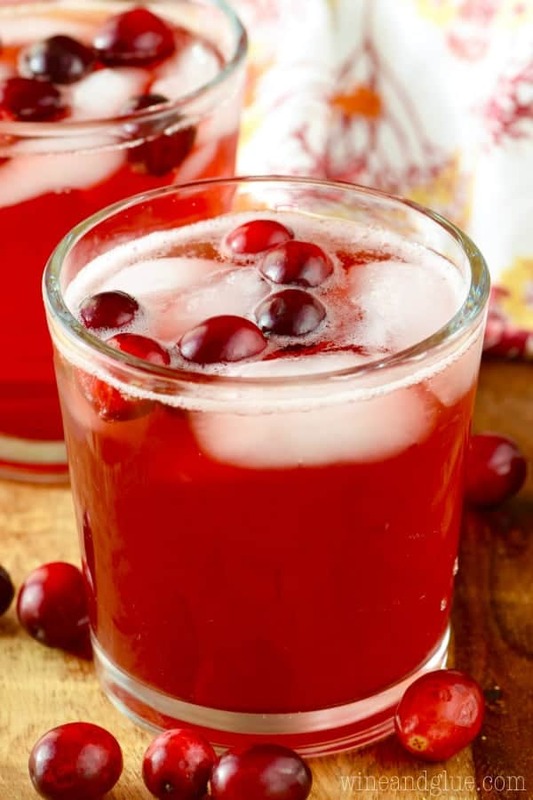 It's like a lighter spin on the traditional go to of a Vodka Cranberry Juice. Combine the ingredients in a small tumbler. Add ice and serve. Please note that the nutritional information listed is for the less sweet version. Yum! I love that you have a less sweet version! 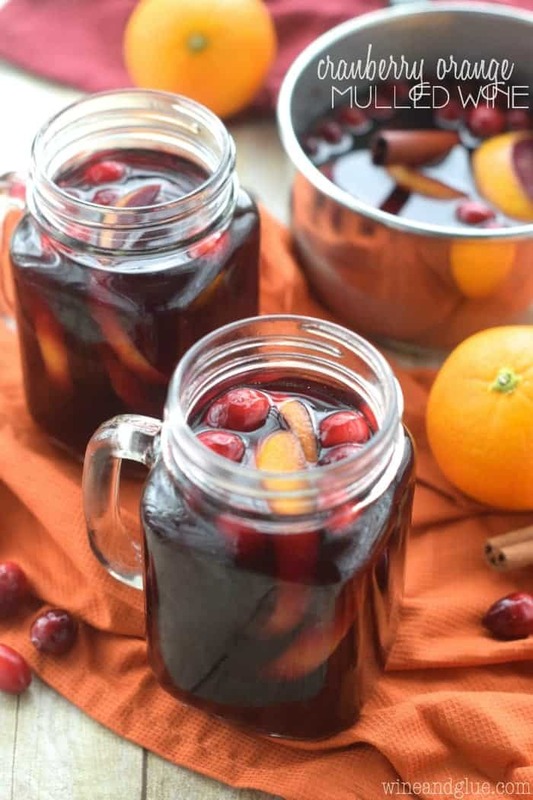 Such a pretty holiday cocktail! So last week when I sent you that shot of my cocktail I made, it was between that one and a cranberry press. So glad I went with the fizzy!! Love this so much, my favorite cocktail hands down.